hile the Wright brothers were anxious to return to America to get back to work, America had other plans. 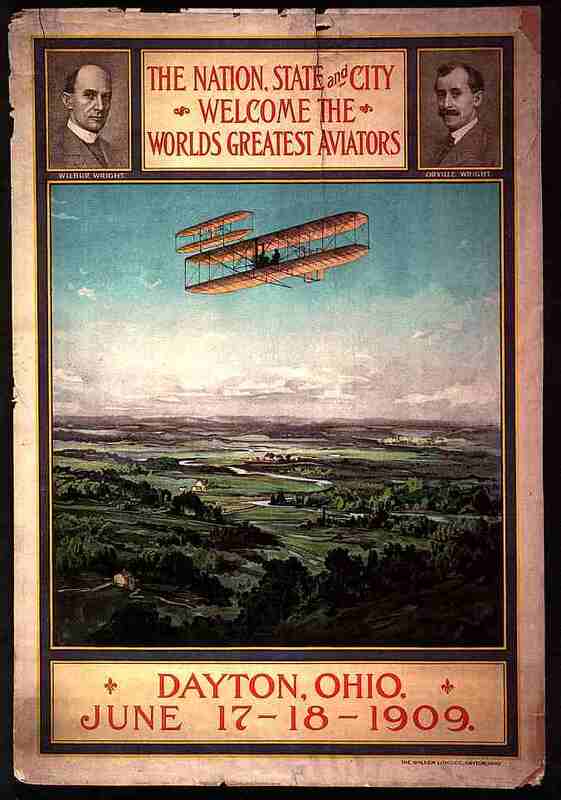 In their absence, the Wright brothers had become national heroes — the first great celebrities of the new century. And every politician who understood their appeal suddenly announced plans to award medals, organize parades, host dinners — anything to share the spotlight with the Wrights for a second or two. New Yorkers planned an elaborate welcoming ceremony. The United States Congress, the Smithsonian Institution, and the Aero Club of America all wanted to award them medals when they landed. 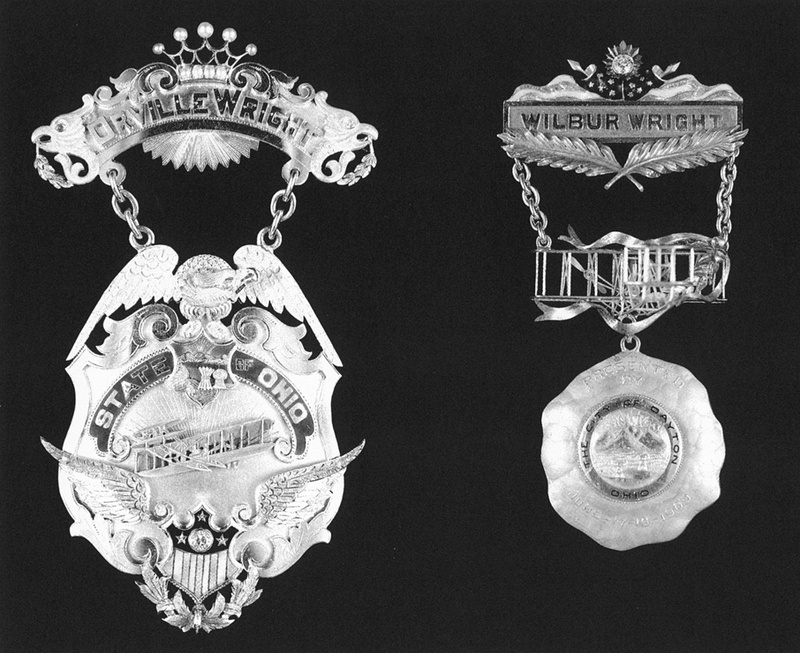 Governor James M. Cox of Ohio protested to President Taft that the medals should be presented in Dayton (with the governor in attendance, of course). 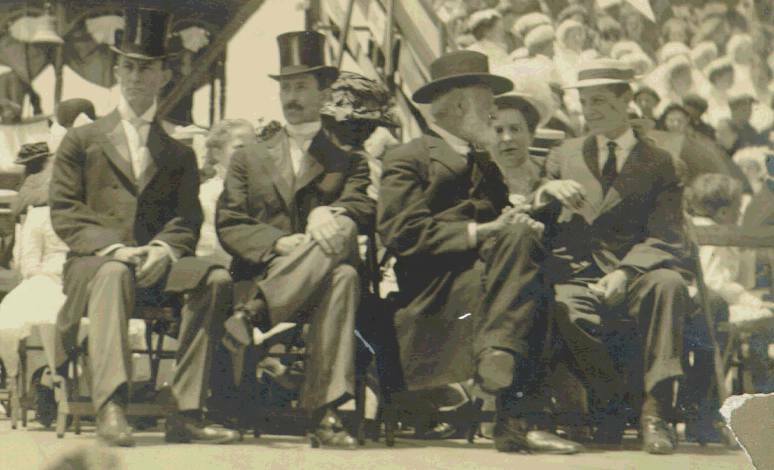 Taft invited officials from Ohio and New York to debate the matter in the White House. However, the Wright Brothers settled the debate before it began. Still out at sea, they cabled their intention to get back to Dayton as quickly as possible to begin work on a new military Flyer. The city of Dayton, meanwhile, geared up for a blow-out in mid-June. 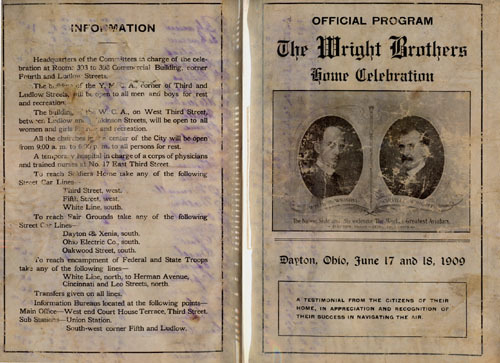 A group of the Wright's close friends had contacted them about the possibility of a modest homecoming celebration while they were enroute from Europe, and at first Will and Orv had been grateful. But as the celebration grew beyond its original scope and the Wrights realized how much work had to be done on the new Military Flyer, they grew less so. "The Dayton presentation has been made the excuse for an elaborate carnival and advertisement of the city under the guise of being an honor to us," Wilbur wrote to Octave Chanute. "As it was done against our known wishes, we are not as appreciative as we might be." Nor was that their only interruption. 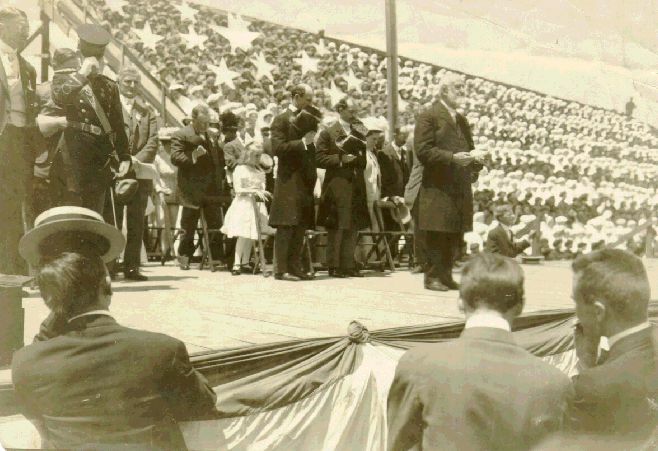 Upon arrival in Dayton Ohio on May 13, 1909, they were met by a crowd of 10,000 people and whisked away to an all-day party. President Taft requested their presence in Washington, DC, and several days later they were in the East Room of the White House listening to speeches and accepting medals. Nevertheless, they did get some work done. At their bicycle shop on 1127 W. Third Street, they tested engines and propellers. In a makeshift workshop that they installed in the carriage barn behind their brother Lorin's house, they made the parts of the airframe. 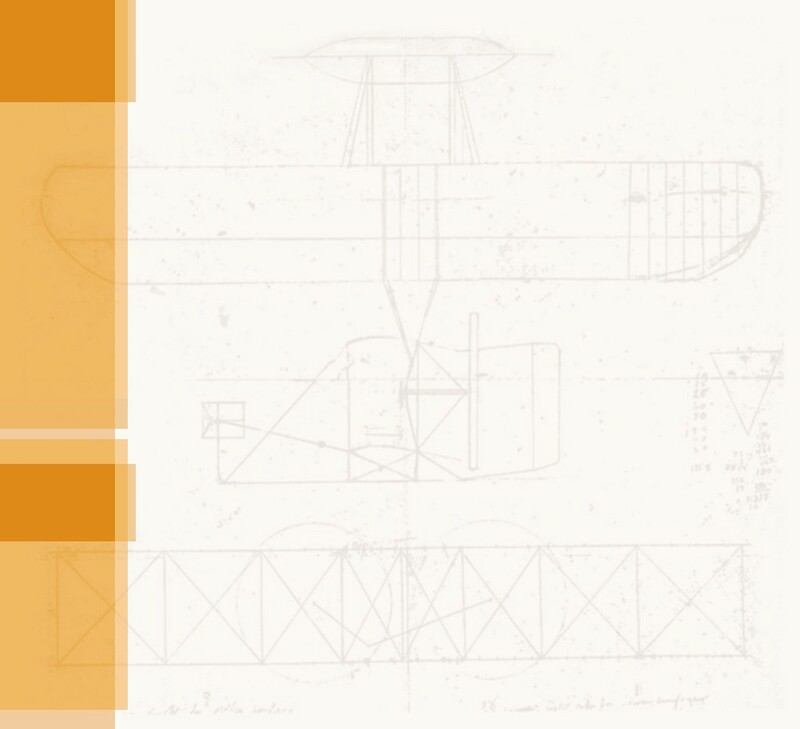 Slowly, the first American military aircraft took shape. On June 17, 1909, the Wilbur and Orville gave in to the inevitable and joined in a two-day long city-wide celebration in their honor. Octave Chanute advised them to buck up and take it like men. "I know that the reception of honors becomes oppressive to modest men," he wrote, "but in this case you have brought the trouble on yourselves by completing the solution to a world-old problem, accomplished with great ingenuity and patience at much risk of personal injury to yourselves." 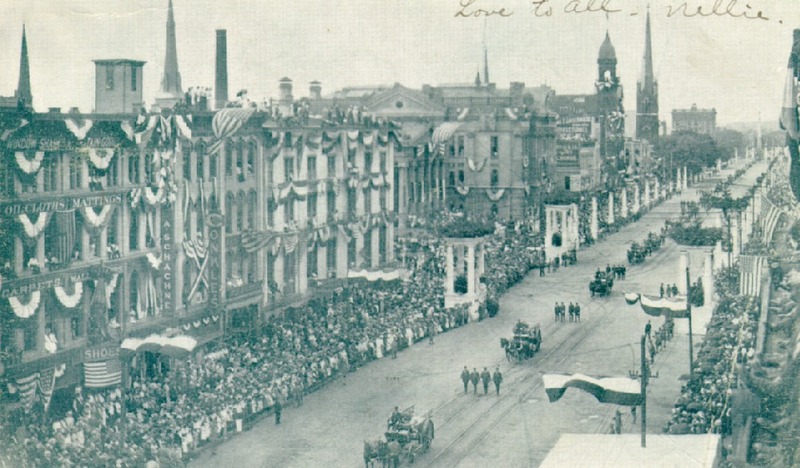 The Dayton spectacle included parades, parties, concerts, festivals, fireworks, awards, and a gigantic American flag composed of schoolchildren dressed in red, white, and blue. Wilbur and Orville took it all in graciously and showed nothing but appreciation. At on point, the Wrights stood in a reception line at the Dayton YMCA and determined to shake hands with every one in Dayton who wished to shake hands with them. The reception line extended for blocks outside the YMCA and the handshaking went on for hours. At some point, Will and Orv became too exhausted to lift their arms and asked if the remaining people in line would mind just a nod. They stood for hours more and nodded their thanks to the Daytonians who filed by. When it was all over, they got up early the very next morning caught a train for Fort Myer, Virginia and the trials of their new military airplane. 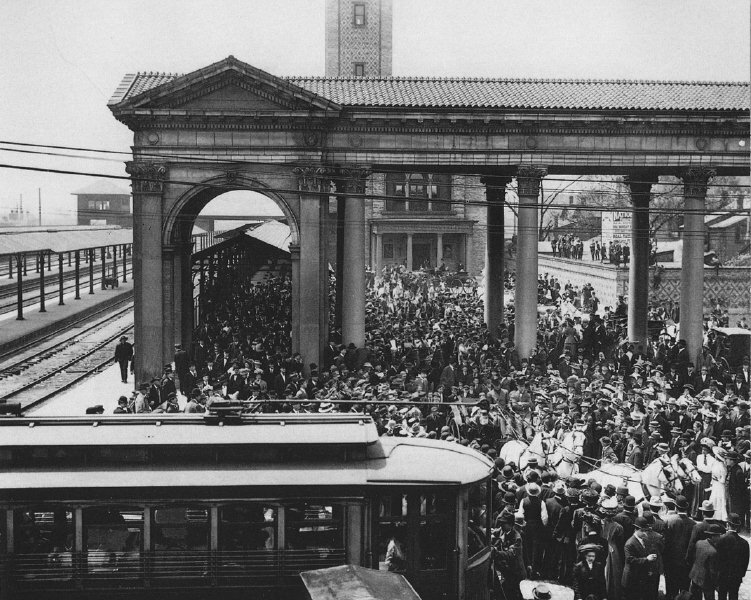 A huge crowd greeted the Wright brothers when they arrive at the Dayton train station. A poster advertising the homecoming celebration. The homecoming parade down Dayton's Main Street. The Wright's in a horse-drawn carriage in the parade. 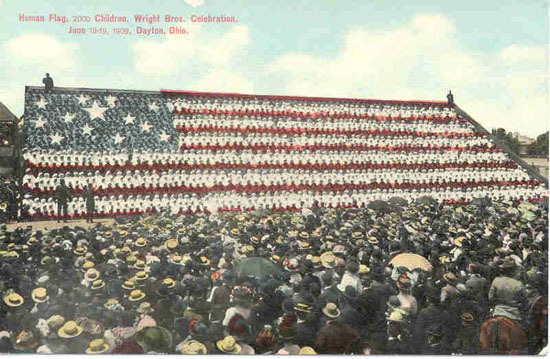 A colorized postcard of the flag made up of schoolchildren. The program for the homecoming ceremonies. Bishop Milton Wright giving an invocation at the beginning of the homecoming ceremony. Will and Orv on the stage during the ceremony. Two of the medals that were awarded to Will and Orv during the homecoming ceremony. "Aviation is proof that – given the will – we can do the impossible."